I didn’t want my very first blog to be a complete disaster, so I pretended that the first thing I made was this neat, though still not perfect, bodice piece. In reality, I set up my blog in the morning and flounced off to my sewing machine in the afternoon, after receiving a 30 inch zip in the post, ready to follow this shirt dress tutorial by Mark Montano. It began with this slightly shrunken H&M blouse… I love the detailing but can’t wear it because it is too short. I had about one and a half metres of nice beige cotton with tiny brown flowers which I thought would be ideal for this. I followed the video, probably not gathering as much as he does, as my waist is MUCH bigger. I tried it on before inserting the zip and took it in a few inches. Next, in went the zip, breaking no less than three (yes THREE) needles in the process. I tried it on before hemming etc and HA! This shapeless Franken-dress is the result. You would be perfectly forgiven for thinking that this is very grandma-esque. I can’t even take any pictures of me wearing it because I quite literally look like a sack of spuds. This was definitely a complete disaster! I don’t even have any ideas how to salvage this and can’t face unpicking it all just yet so it’ll have to hang there for now. Ah well, you sew and learn! Being someone who tries to stay positive, the zip looks very neat… that’s all I’ve got though! Having decided to brave it in the blog world; I imagined a blog full of pictures of me prancing around in fabulously sewn dresses and skirts, especially as I’m off school. As you can see I have started to make a dress in this funky thick checked fabric, which my mother-in-law kindly picked up for me as part of a bundle from Ikea, at an absolute bargain! The pattern is New Look 6020 which I have made before- not well I should add. Anyway, having pieced together the bodice, using beautiful French seams, I had a go at using bias binding on the edges as I’m not really feeling the facings. I chose to contrast it and added a little cap sleeve by shortening a basic sleeve pattern. It was all looking super neat so I gleefully tried it on only to find the gape-age is horrendous!! WHAT IS THIS? This is not a good look! After a bit of research online I learnt about using back darts to fix a gaping neckline, so I stuck two of those in and added a little pleated front and things came together. I need to learn how to alter patterns to stop this from happening though! I soon realised that to get this over my Massive hips I would need a much longer zip so I’m going back to my seam ripper with a sulk. The miraculous complete item pics will just have to wait. Bear with me… I’m new to this. 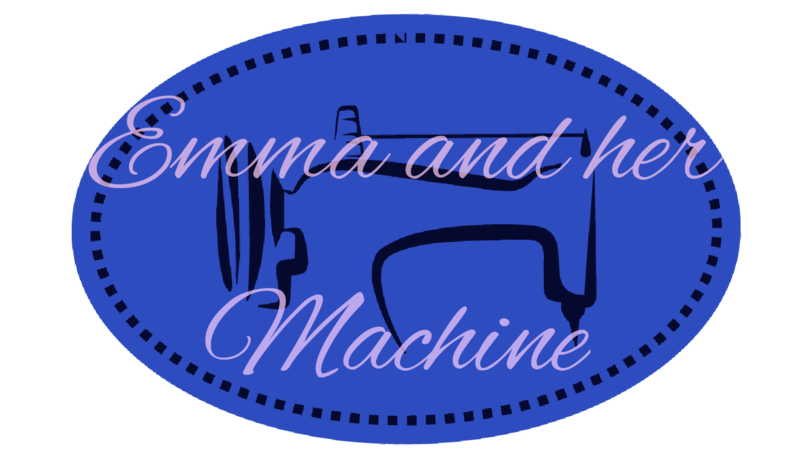 After spending my summer, or lack thereof, trawling through lots of blogs to give me inspiration and to help me to learn more about sewing, I’ve decided to start my own. I’m at a stage where I am ready to be making quality items that can stay in my wardrobe without disappointment or blatantly ignoring parts which don’t fit or haven’t worked! These are some of my better makes so far, and believe me, there are others which are much worse! Anyway, much as I will continue to make cute gifts and enjoy quick projects that I can do in an hour or less, I am ready to expand in to the world of dress patterns and proper fittings… so let’s go.